6800501 MR14 YALE MR14 Reach truck MR series. Spare Parts Catalog. Service (workshop) Manual. Operator's Instruction Manual. 6800502 MR14H YALE MR14H Reach truck MR series. Spare Parts Catalog. Service (workshop) Manual. Operator's Instruction Manual. 6800503 MR16 YALE MR16 Reach truck MR series. Spare Parts Catalog. Service (workshop) Manual. Operator's Instruction Manual. 6800504 MR16H YALE MR16H Reach truck MR series. Spare Parts Catalog. Service (workshop) Manual. Operator's Instruction Manual. 6800505 MR16HD YALE MR16HD Reach truck MR series. Spare Parts Catalog. Service (workshop) Manual. Operator's Instruction Manual. 6800506 MR16N YALE MR16N Reach truck MR series. Spare Parts Catalog. Service (workshop) Manual. Operator's Instruction Manual. 6800507 MR18 YALE MR18 Reach truck MR series. Spare Parts Catalog. Service (workshop) Manual. Operator's Instruction Manual. 6800508 MR20 YALE MR20 Reach truck MR series. Spare Parts Catalog. Service (workshop) Manual. Operator's Instruction Manual. 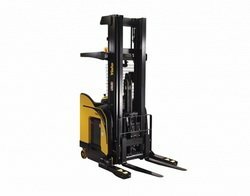 6800509 MR20H YALE MR20H Reach truck MR series. Spare Parts Catalog. Service (workshop) Manual. Operator's Instruction Manual. 6800510 MR20HD YALE MR20HD Reach truck MR series. Spare Parts Catalog. Service (workshop) Manual. Operator's Instruction Manual. 6800511 MR20W YALE MR20W Reach truck MR series. Spare Parts Catalog. Service (workshop) Manual. Operator's Instruction Manual. 6800512 MR25 YALE MR25 Reach truck MR series. Spare Parts Catalog. Service (workshop) Manual. Operator's Instruction Manual. 6800514 NDR030AC YALE NDR030AC Reach truck NDR series. Spare Parts Catalog. Service (workshop) Manual. Operator's Instruction Manual. 6800515 NDR030AD YALE NDR030AD Reach truck NDR series. Spare Parts Catalog. Service (workshop) Manual. Operator's Instruction Manual. 6800516 NDR030AE YALE NDR030AE Reach truck NDR series. Spare Parts Catalog. Service (workshop) Manual. Operator's Instruction Manual. 6800517 NDR030BC YALE NDR030BC Reach truck NDR series. Spare Parts Catalog. Service (workshop) Manual. Operator's Instruction Manual. 6800518 NDR030CA YALE NDR030CA Reach truck NDR series. Spare Parts Catalog. Service (workshop) Manual. Operator's Instruction Manual. 6800519 NDR030CB YALE NDR030CB Reach truck NDR series. Spare Parts Catalog. Service (workshop) Manual. Operator's Instruction Manual. 6800520 NDR030DA YALE NDR030DA Reach truck NDR series. Spare Parts Catalog. Service (workshop) Manual. Operator's Instruction Manual. 6800521 NDR030DB YALE NDR030DB Reach truck NDR series. Spare Parts Catalog. Service (workshop) Manual. Operator's Instruction Manual. 6800522 NDR030EA YALE NDR030EA Reach truck NDR series. Spare Parts Catalog. Service (workshop) Manual. Operator's Instruction Manual. 6800523 NDR030EB YALE NDR030EB Reach truck NDR series. Spare Parts Catalog. Service (workshop) Manual. Operator's Instruction Manual. 6800524 NDR030GA YALE NDR030GA Reach truck NDR series. Spare Parts Catalog. Service (workshop) Manual. Operator's Instruction Manual. 6800525 NDR030GB YALE NDR030GB Reach truck NDR series. Spare Parts Catalog. Service (workshop) Manual. Operator's Instruction Manual. 6800526 NDR035EA YALE NDR035EA Reach truck NDR series. Spare Parts Catalog. Service (workshop) Manual. Operator's Instruction Manual. 6800527 NDR035EB YALE NDR035EB Reach truck NDR series. Spare Parts Catalog. Service (workshop) Manual. Operator's Instruction Manual. 6800528 NDR040CA YALE NDR040CA Reach truck NDR series. Spare Parts Catalog. Service (workshop) Manual. Operator's Instruction Manual. 6800529 NDR045AD YALE NDR045AD Reach truck NDR series. Spare Parts Catalog. Service (workshop) Manual. Operator's Instruction Manual. 6800530 NDR045CA YALE NDR045CA Reach truck NDR series. Spare Parts Catalog. Service (workshop) Manual. Operator's Instruction Manual. 6800532 NR030AD YALE NR030AD Reach truck NR series. Spare Parts Catalog. Service (workshop) Manual. Operator's Instruction Manual. 6800533 NR030CA YALE NR030CA Reach truck NR series. Spare Parts Catalog. Service (workshop) Manual. Operator's Instruction Manual. 6800534 NR035 YALE NR035 Reach truck NR series. Spare Parts Catalog. Service (workshop) Manual. Operator's Instruction Manual. 6800535 NR035AC YALE NR035AC Reach truck NR series. Spare Parts Catalog. Service (workshop) Manual. Operator's Instruction Manual. 6800536 NR035AD YALE NR035AD Reach truck NR series. Spare Parts Catalog. Service (workshop) Manual. Operator's Instruction Manual. 6800537 NR035AE YALE NR035AE Reach truck NR series. Spare Parts Catalog. Service (workshop) Manual. Operator's Instruction Manual. 6800538 NR035BC YALE NR035BC Reach truck NR series. Spare Parts Catalog. Service (workshop) Manual. Operator's Instruction Manual. 6800539 NR035D YALE NR035D Reach truck NR series. Spare Parts Catalog. Service (workshop) Manual. Operator's Instruction Manual. 6800540 NR035DA YALE NR035DA Reach truck NR series. Spare Parts Catalog. Service (workshop) Manual. Operator's Instruction Manual. 6800541 NR035DB YALE NR035DB Reach truck NR series. Spare Parts Catalog. Service (workshop) Manual. Operator's Instruction Manual. 6800542 NR035EA YALE NR035EA Reach truck NR series. Spare Parts Catalog. Service (workshop) Manual. Operator's Instruction Manual. 6800543 NR035EB YALE NR035EB Reach truck NR series. Spare Parts Catalog. Service (workshop) Manual. Operator's Instruction Manual. 6800544 NR040AC YALE NR040AC Reach truck NR series. Spare Parts Catalog. Service (workshop) Manual. Operator's Instruction Manual. 6800545 NR040AD YALE NR040AD Reach truck NR series. Spare Parts Catalog. Service (workshop) Manual. Operator's Instruction Manual. 6800546 NR040AE YALE NR040AE Reach truck NR series. Spare Parts Catalog. Service (workshop) Manual. Operator's Instruction Manual. 6800547 NR040CA YALE NR040CA Reach truck NR series. Spare Parts Catalog. Service (workshop) Manual. Operator's Instruction Manual. 6800548 NR040D YALE NR040D Reach truck NR series. Spare Parts Catalog. Service (workshop) Manual. Operator's Instruction Manual. 6800549 NR040DA YALE NR040DA Reach truck NR series. Spare Parts Catalog. Service (workshop) Manual. Operator's Instruction Manual. 6800550 NR040DB YALE NR040DB Reach truck NR series. Spare Parts Catalog. Service (workshop) Manual. Operator's Instruction Manual. 6800551 NR040EA YALE NR040EA Reach truck NR series. Spare Parts Catalog. Service (workshop) Manual. Operator's Instruction Manual. 6800552 NR040EB YALE NR040EB Reach truck NR series. Spare Parts Catalog. Service (workshop) Manual. Operator's Instruction Manual. 6800553 NR045AC YALE NR045AC Reach truck NR series. Spare Parts Catalog. Service (workshop) Manual. Operator's Instruction Manual. 6800554 NR045AD YALE NR045AD Reach truck NR series. Spare Parts Catalog. Service (workshop) Manual. Operator's Instruction Manual. 6800555 NR045AE YALE NR045AE Reach truck NR series. Spare Parts Catalog. Service (workshop) Manual. Operator's Instruction Manual. 6800556 NR045BC YALE NR045BC Reach truck NR series. Spare Parts Catalog. Service (workshop) Manual. Operator's Instruction Manual. 6800557 NR045CA YALE NR045CA Reach truck NR series. Spare Parts Catalog. Service (workshop) Manual. Operator's Instruction Manual. 6800558 NR045CB YALE NR045CB Reach truck NR series. Spare Parts Catalog. Service (workshop) Manual. Operator's Instruction Manual. 6800559 NR045EA YALE NR045EA Reach truck NR series. Spare Parts Catalog. Service (workshop) Manual. Operator's Instruction Manual. 6800560 NR045EB YALE NR045EB Reach truck NR series. Spare Parts Catalog. Service (workshop) Manual. Operator's Instruction Manual. 6800561 NR045GA YALE NR045GA Reach truck NR series. Spare Parts Catalog. Service (workshop) Manual. Operator's Instruction Manual. 6800562 NR045GB YALE NR045GB Reach truck NR series. Spare Parts Catalog. Service (workshop) Manual. Operator's Instruction Manual. 6800563 NR40DA YALE NR40DA Reach truck NR series. Spare Parts Catalog. Service (workshop) Manual. Operator's Instruction Manual. 6800565 NS040AF YALE NS040AF Reach truck NS series. Spare Parts Catalog. Service (workshop) Manual. Operator's Instruction Manual. 6800566 NS040AD YALE NS040AD Reach truck NS series. Spare Parts Catalog. Service (workshop) Manual. Operator's Instruction Manual. 6800567 NS040AE YALE NS040AE Reach truck NS series. Spare Parts Catalog. Service (workshop) Manual. Operator's Instruction Manual. 6800568 NS040AF YALE NS040AF Reach truck NS series. Spare Parts Catalog. Service (workshop) Manual. Operator's Instruction Manual. 6800569 NS050AD YALE NS050AD Reach truck NS series. Spare Parts Catalog. Service (workshop) Manual. Operator's Instruction Manual. 6800570 NS050AE YALE NS050AE Reach truck NS series. Spare Parts Catalog. Service (workshop) Manual. Operator's Instruction Manual. 6800571 NS050AF YALE NS050AF Reach truck NS series. Spare Parts Catalog. Service (workshop) Manual. Operator's Instruction Manual.